Allow me to kick off the start of a (possible) day curating series here at Fujirockers. Let us plan your day for you. We know the festival is massive and the lineup is daunting. Planning a day is often confusing and the lineup often conflicts. So, let us do the dirty work for you. This (possible) series is a way for us experienced Fujirockers to guide you through a day, taking you through which bands to see when and why. As you might have guessed by the title, I gravitate towards the jazz/funk/soul genre. If that’s not your idea of a great day, hopefully someone else can pick up the slack in other genres. However, for my fellow boppers, funkers and soulsters, read on. Each of the three days does have great live music within the genre but for myself and I’m sure many others, Sunday is the day to get excited about. Let’s start off in the morning. For lovers of jazz/funk/soul you’ll do no better than to start your morning with Mark Ernestus’ Ndagga Rhythm Force. Playing at 11 am on the Green Stage, German techno/dub pioneer Mark Ernestus hosts a group of West African musicians fusing the old and the new. They play tribal percussive music mixed with modern instruments like guitar, keyboard and drums. It’s a mishmash of centuries-old African music, while incorporating new technology and elements. The sound is then finalized, incorperating the sensibilities of a leading techno producer. Grab your morning coffee and don’t miss Ndagga Rhythm Force on the main stage. Next, stroll down to the end of the festival grounds, grab some lunch and head into the Cafe de Paris at 1pm to check out the Oi-Skall Mates. Now approaching their 20th year together, this 3rd wave ska band from Tokyo only plays once during the fest. Don’t miss your chance to skank, dance and jump around with these Japanese ska-rock originators. They’re a 9-man band including a brass section, guitars, drums and vocals. Expect a bumping horns section, punk infused lyrics and wicked guitar riffs. Be prepared for the small Cafe de Paris stage to be shaking the whole set through. Now that your dancing shoes have been warmed up, head back to the main festival area to the White Stage to catch Japan’s premier jazz group, Soil & Pimp Sessions, who play at 2:50 pm. Fresh off a Canada-wide tour, this 6-man band, are 15 plus years in the game and still pushing the limits of jazz music. They’re a fusion of bebop, bossa nova, straight jazz and something they call death jazz. Soil and Pimp Sessions play jazz music as hard and fast, with as much raw talent as you will see all day. Complete with a front man who hollers at you on a mic and megaphone, this is jazz music to make you move. They will surely have all of the White Stage going wild the full 50 minutes. What’s next my fellow jazz heads, isn’t so cut and dry. We’ve got the option between two quality artists. So I’ve got to recommend both. At 4pm Leon Bridges, the Texas-born, gospel and soul sensation plays on the Field of Heaven stage. Relatively new on the scene, his discography only contains the one album, last year’s hit, “Coming Home”. The title track of the same name quickly became a smash on the interweb, leading to a number 5 spot on the spotify charts. He’s been compared to some of the soul music greats like Otis Redding and Sam Cooke. His live show is sure to be more than memorable. The schedule dillema I mentioned comes from over on the White Stage. At 4:30pm we’ve got producer/jazz pianist/Grammy winner Robert Glasper doing his thing. Glasper dabbles in hip-hop, jazz, soul, R&B and more. He’s similarly collaborated with some of the industry’s biggest stars in jazz, hop-hop and R&B. He also recently served as composer, arranger and music supervisor for the the acclaimed Miles Davis biopic, “Miles Ahead”. Glasper’s 50 minutes on the White Stage is sure to only scratch the surface of his musical abilities, so I wouldn’t reccomend missing much of the set. Whether you prefer the classic soul sound of Bridges or the more current urban jazz crossover of Glasper, you’re in for a treat either way. How much you catch of each set it up to you. If our last move was relatively difficult to decide, this next one is a no-brainer. 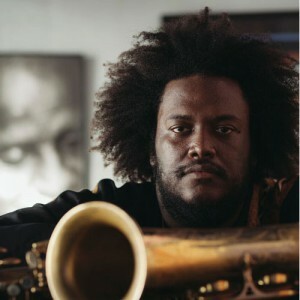 If you’ve made it this far in the article and don’t know who Kamasi Washington is, you might be better off hanging out at the White Stage or getting an early spot for Chili Peppers at the Green Stage. For the rest of us, Washington really needs no introduction and will be the festival headliner for many. Playing the headlining Sunday night slot at 8pm on the Field of Heaven stage, this Californian sax player, composer and band leader has taken the music world by storm and continues to grow musically. He’s played and collaborated with some of the best in jazz and urban music including Herbie Hancock, Wayne Shorter, Kendrick Lamar, Lauryn Hill, Flying Lotus and more. His 2015 debut triple album, “The Epic” is exactly that and makes his hour and half set time Sunday seem a bit sparse. That said, I’m sure jazz fans and music fans in general will enjoy every minute of Washington’s Sunday night spectacualar. While some of us may call it a night after Washington, those with the stamina should head to the Crystal Palace Tent to keep the jazzy vibes going. Sunday night at the Palace hosts a great selection of jazz related DJs and bands. The music in the Tent should be great all night. A few stand outs for me include Gaz Mayall, Shunya Okino (of Kyoto Jazz Massive) and Jump with Joey. It all kicks off at 10:30pm. Gaz Mayall, who opens up the Crystal Palace each night of the fest, certainly knows how to rock a party. Gaz has been running his weekly club event, Gaz’s Rockin’ Blues in London for 35 years now. He’s got a massive record collection and is a big promoter of classic ska, reggae, jazz, soul and more. A bit later in the night, Kyoto Jazz Massive’s Shunya Okino hits the decks for what should be a jazzy, soulful set. Okino is a top tastemaker, DJ, producer and promoter of all things jazz, soul and funk. He hosts a weekly radio show, JAZZ ain’t Jazz, here in Japan and is no stranger playing out to crowds. If you’ve managed to stay up this late (hopefully I will have too) you should stick around for Jump with Joey playing at 3:15am. Featured previously in an interview by our own Laura Cooper, Jump with Joey play 3 times throughout the fest. They should be in their groove by the time they deliver their final set in the cozy confines of the Crystal Palace. Fronted by Joey Altruda and longtime Fuji Rock performer Willie McNeil, Jump with Joey’s brand of Jamaican influenced ska and rocksteady is sure to keep the Palace, well…jumping, well into the early morning. So there you have it my fellow funk soul brothers and sisters, a sure fire plan for a great Sunday. Of course, you don’t have to follow my day planner step for step, you can mix and match as you please. I hope to see some of you readers join me for Jimmy’s Jazzy Sunday. If you start to notice the same dude at each stop wearing a staff shirt and scribbling on his Galaxy Note, feel free to say hi! I’ll accept payment for planning your day in the form of a frosty brew.